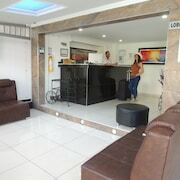 With a stay at Hotel Metro 26 in Bogota, you'll be minutes from U.S. Embassy and close to Plaza de Bolivar. 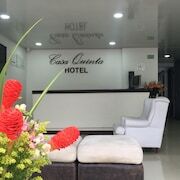 This hotel is within close proximity of Corferias Convention Center and Attorney General's Building. Stay in one of 11 guestrooms featuring flat-screen televisions. Complimentary wireless Internet access keeps you connected, and cable programming is available for your entertainment. Bathrooms have showers and complimentary toiletries. Conveniences include phones, as well as desks and irons/ironing boards. Grab a bite from a snack bar/deli serving guests of Hotel Metro 26.